Thank you so, so much for Friday. 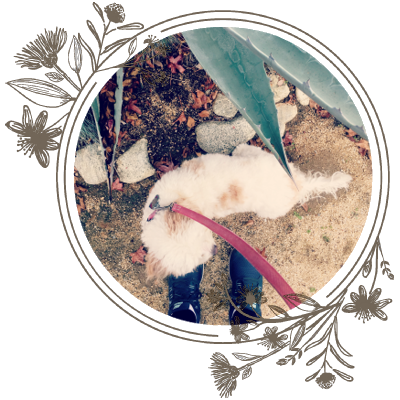 I’m doing okay and learned quite a bit in the comments. I’m so glad I hit “publish.” Thank you. Since then, I’ve been reading and cooking up a storm, proving definitively that I am a stress reader/cooker. I’ve read at least 5 books and 3 cookbooks since last Monday, and while none of the books have stood out, a few of my kitchen adventures made it to Instagram. If it didn’t happen on Instagram, it didn’t happen in real life. Humble-braggers, unite! 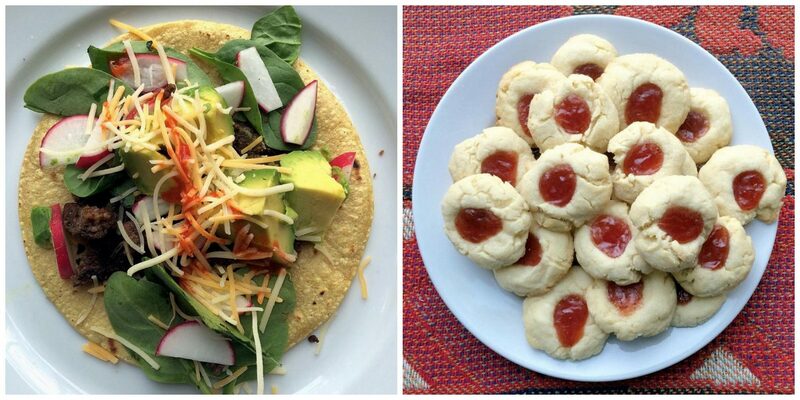 Here’s what I what I made that I showed off on social media while pretending I wasn’t showing off and looking for the right light: Veggie tacos and Strawberry Jam & Butter cookies. Neither recipe is my own. The veggie tacos are Annie’s mom’s black bean burger recipe, which she shared here in the comments. I made the burgers on Saturday, subbing cooked riced for some of the oats because I had leftovers I wanted to use up. Everyone, even Mikey, loved them. Thanks, Annie! The cookies are the Strawberry Jam and Butter cookies from the back of the Bob’s Red Mill flour bag. I was at the store buying the ingredients for the black bean burgers, saw the recipe (don’t ask, not sure why I was in the flour section) and decided they sounded good. You can find that recipe here, on the Bob’s Red Mill site. I love the recipe because, at least until next week, I’m cooking at high altitude. I adjusted the recipe on my own and didn’t have any major problems–and they were a huge hit! I also made a pie pastry to make a Spanish savory pie, but by dinner time I was over it. Frozen pizza saves the day! I used Against the Grain cheese pizza because it was the only frozen pizza I could find that was made in a dedicated nut-free facility. I wasn’t expecting much, but it tasted pretty good. The boys loved it, so that made me happy. Other things that make me happy: writing what I could never say out loud, helpful comments, prayers and positive wishes, packing up to go home, and a happy and healthy family.